For all readers out there who want to look awesome and help out our libraries at the same time, I've found the place for you! Gone Reading sells t-shirts and other bookish stuff and donates all of the after-tax profits to help fund libraries and reading-focused charities. To learn more click here and here. The cool thing is that if you enter the code: BOOKITTYBLOG25 you'll get 25 % off any purchase! Except bookends. This coupon expires 4/19. Here's the one I ordered! It's so geeky and oh so me! 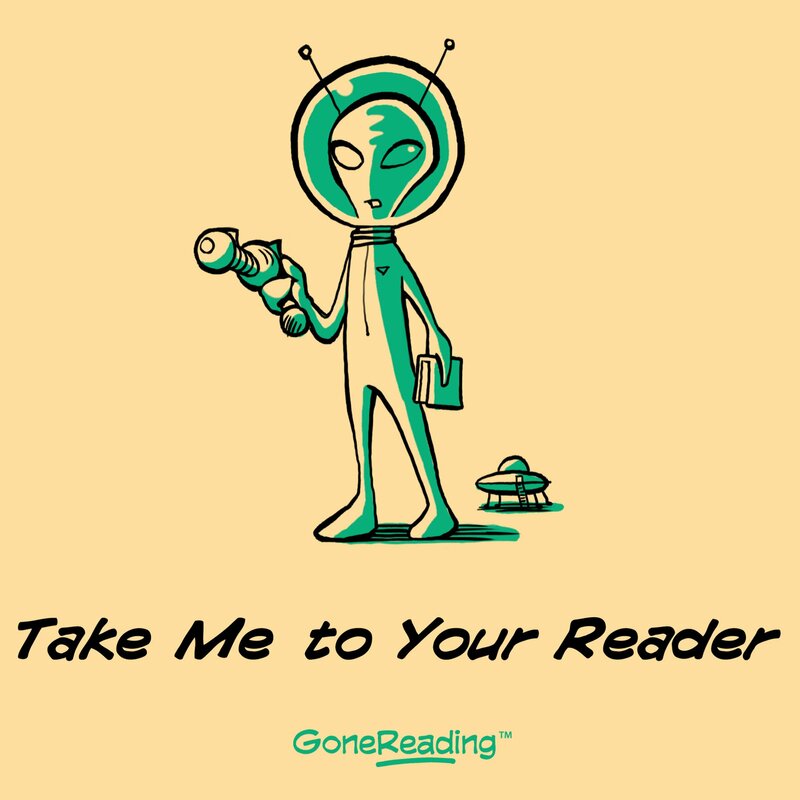 To order "Take Me to Your Reader" click the pic. I also LOVE their bookmarks. They're awesome and really cute! Gah!!! Look at that fishy! book journals, bookplates, book lights, and games about books!